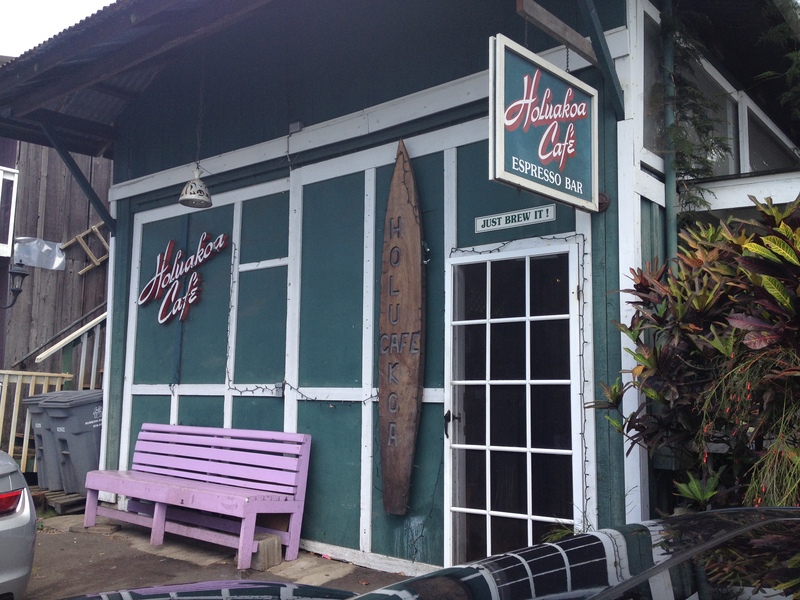 This restaurant is well worth the drive off the beaten path to Holualoa on the Big Island. We have only been there twice, but we will be back, most likely for dinner. We had the same waitress two years in a row and the service, even though it extremely busy, was terrific. The restaurant is part of the Slow Food movement, an organization with supporters in 150 countries around the world who are linking the pleasure of good food with a commitment to their community, sustainability and the environment. A section of the restaurant’s website describes the local farmers they work with to provide organic fruits, vegetables and other ingredients. There is a coffee shop indoors and nearby you will find the gardens with outdoor tables, nicely shaded and with a fishpond and a somewhat eclectic vibe. The food here is the star. 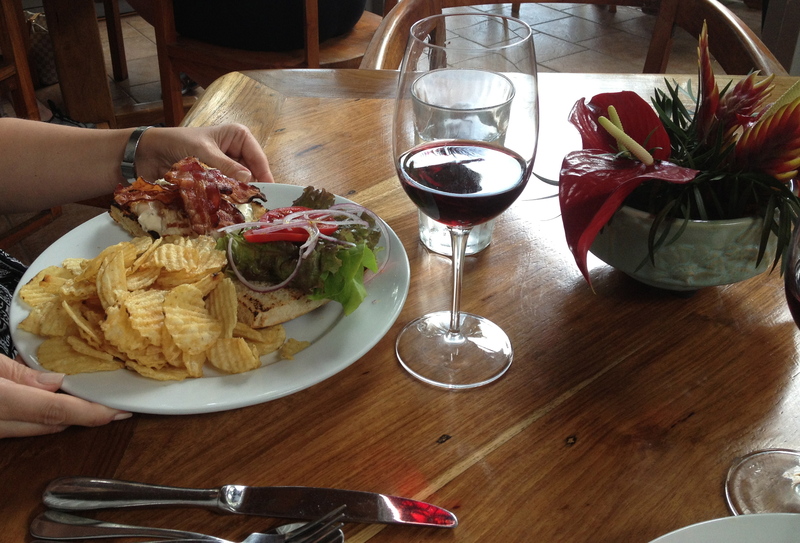 We each had a fresh local fish sandwich off the brunch menu and it was delicious. The wine list is respectable and I had a glass of red with my lunch. Holuakoa Gardens & Café is located at 76-5900 Old Government Road in Holualoa, across from the bright pink-colored Inaba’s Kona Hotel. This entry was posted in Hawaii, Hawaiian food, Travel and tagged Big Island, Big Island restaurants, Hawaii, Hawaiian food, Holualoa, Slow food, United States by alohajournal. Bookmark the permalink. Thanks Jennifer! We sure appreciate your support and look forward to a return visit! Your restaurant is wonderful and we especially appreciate the great service and your commitment to the slow food movement. We hope to be back soon. Aloha.